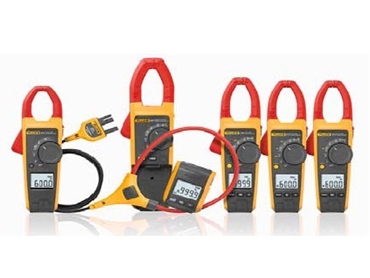 element14 , formerly known as Farnell, has introduced Fluke's new range of durable clamp meters to its growing inventory of products for electronic design engineers and purchasing professionals. and commercial and industrial HVAC equipment. increased resistance range and overmoulding for easier handling and improved survival if they are dropped. The new Fluke iFlex i2500-18 and i2500-10 flexible current probes expand the measurement range of the select Fluke meters to 2500 A ac while providing the ultimate measurement flexibility. The iFlex probes connect directly to the clamp meter to display current measurements without error prone scaling factors. The large coil allows users to reach around large or awkward-shaped conductors, while the small 0.3-inch profile allows the coil to reach between tightly-packed cables and improves access in crowded places.